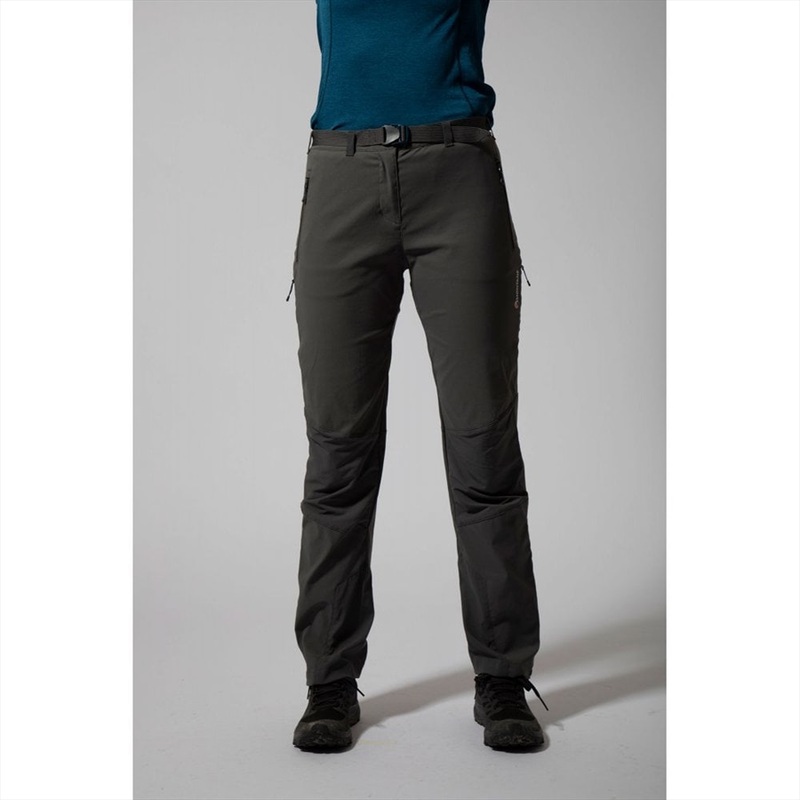 The Terra Ridge hiking pants for women: 3 season multi activity mountain capri pants from Montane. 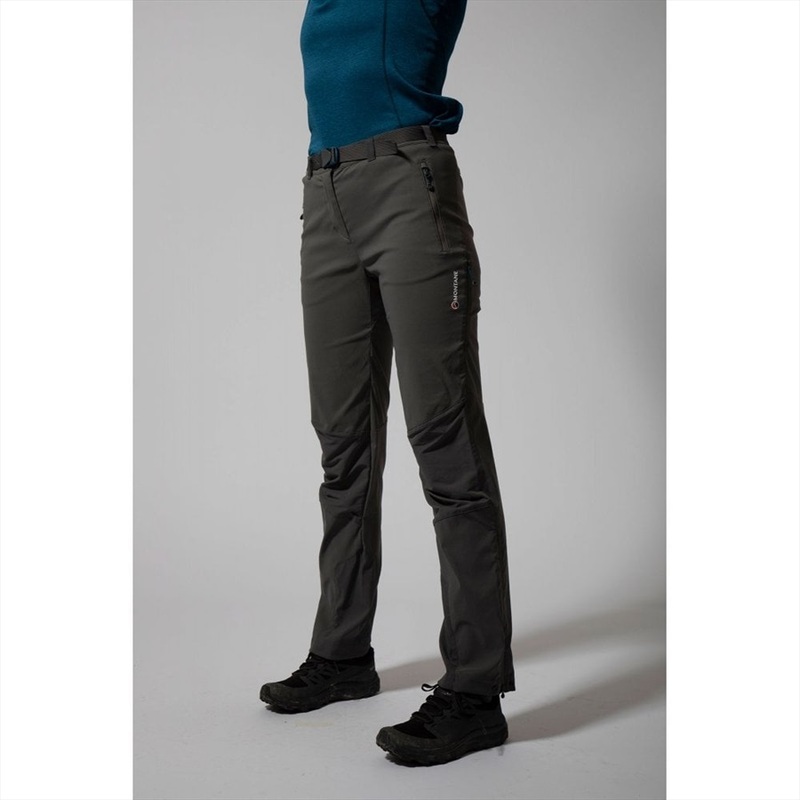 Montane’s Terra Ridge Pants for Women are versatile, designed for 3 season multi activity mountain use. 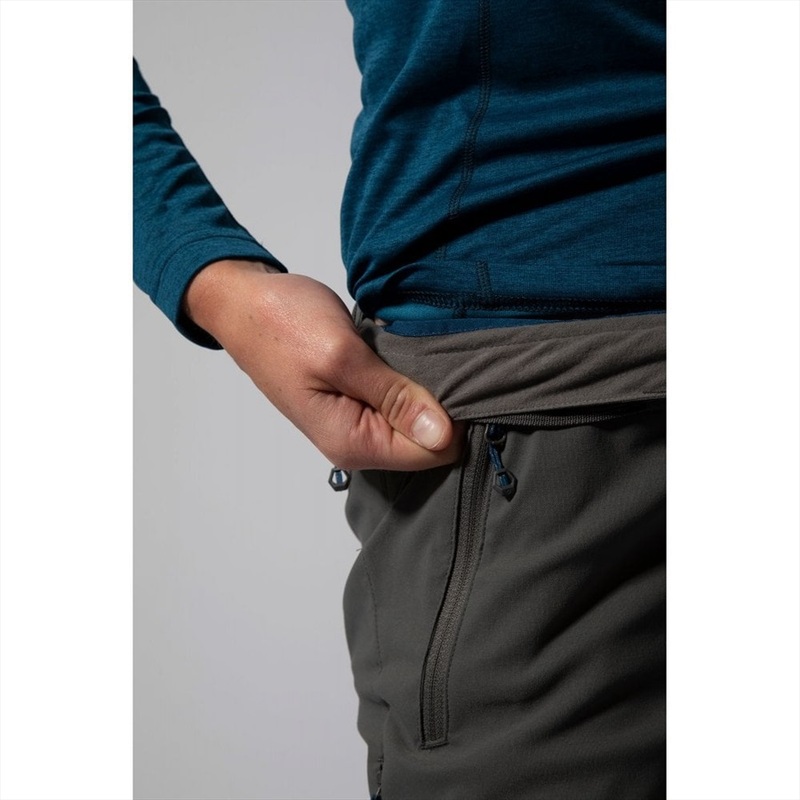 The Terra Ridge Pants are made from GRANITE STRETCH Dynamic fabric, a spandex yarn that gives two way stretch properties for a full range of movement. It has a durable water resistant (DWR) finish to protect against showers and 50+ UPF protection protects against harmful sun rays. 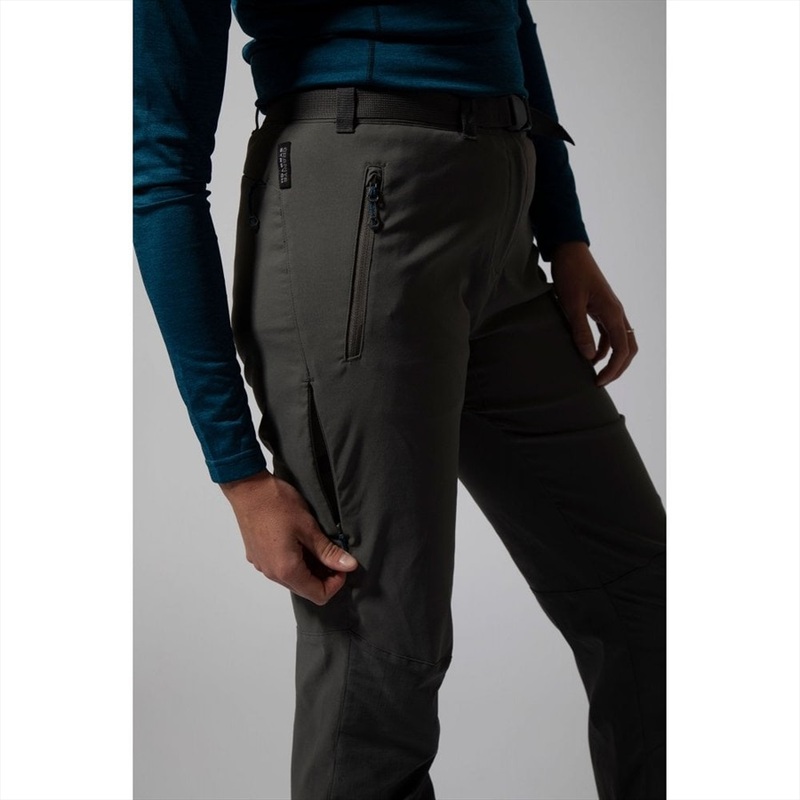 The material is reinforced in the knees and insteps with GRANITE STRETCH Tough, a hard wearing ripstop fabric that is made from Cordura for durable abrasion resistance, and lycra to ensure the stretch properties are not compromised. 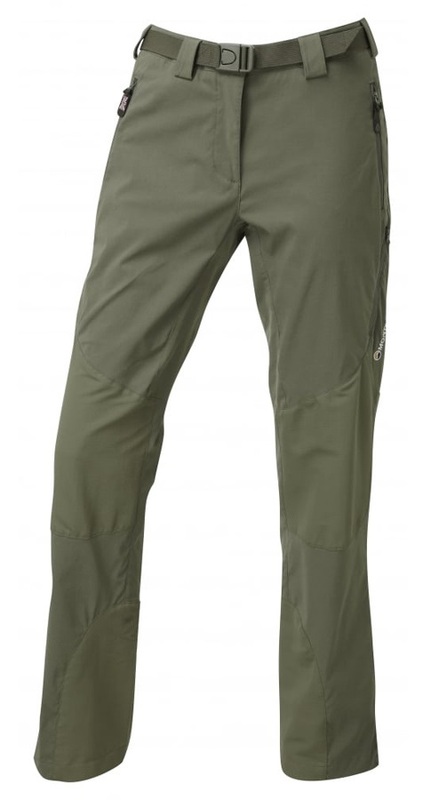 The Terra Ridge Pants are quick drying with an active cut. They come with a fully removable belt with a discreet buckle and belt loops. 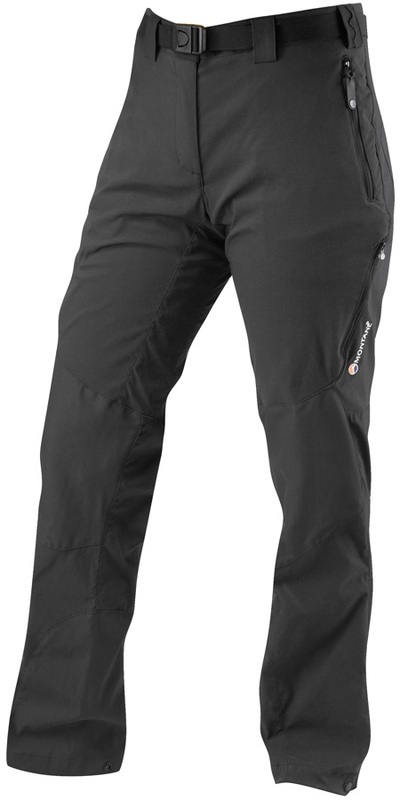 Two concealed and zipped thigh vents offer breathability and the articulated knees promote freedom of movement. 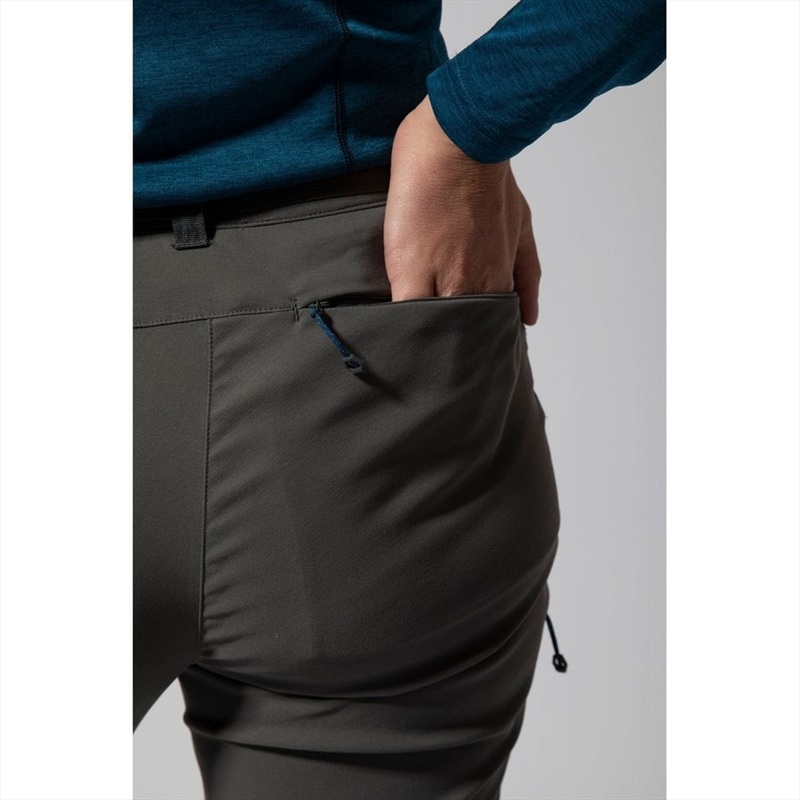 With two handwarmer pockets, an internal zipped security pocket and a rear zipped pocket, there is plenty of space to store essentials. 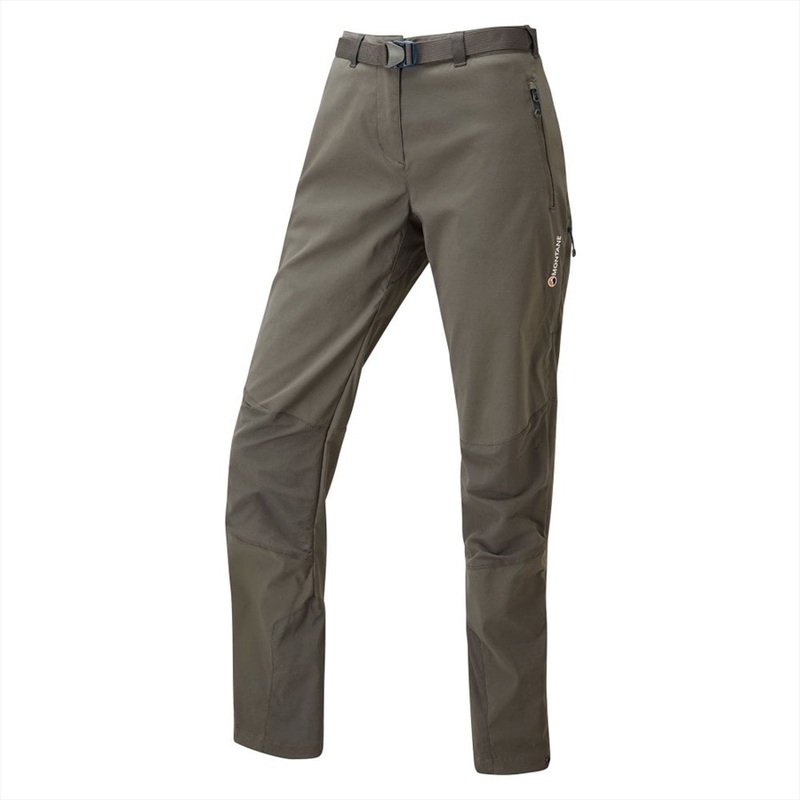 For versatile and dependable trousers fit for adventure, choose the Terra Ridge Pants from Montane.